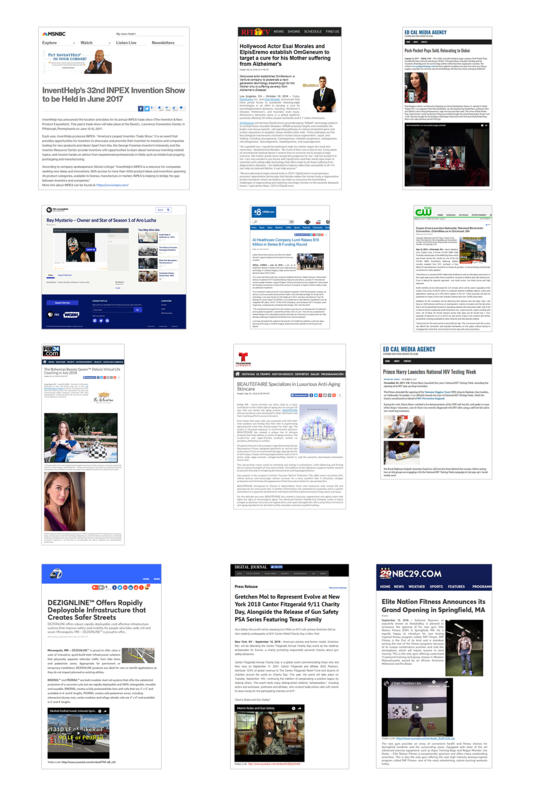 NewswireNEXT is the only press release distribution service that GUARANTEES placement of your Business News on Top Tier outlets, such as MSNBC and PBS affiliate networks, plus syndication on more than 400 authoritative online news and media outlets, including Fox, NBS, CBS, ABC, Telemundo and CW affiliates, and Google News, Bing and Yahoo Search Engines. Ours is a Comprehensive White Label Press Release Package that ensures maximum media pickup and exposure for just $199. With NewswireNEXT press release distribution service, you can claim “As Seen On” with Media Logos for yourself, your website, business, product and service. As a new company or startup, it’s quite crucial for you to build an initial reputation. However, to do so you need to get media coverage for your brand. Press releases are considered to be one of the fastest and cheapest ways of getting your business or startup featured in media. By syndicating your business press release on authoritative news sites, you can immediately boost your brand authority. We at NewswireNEXT do not charge any membership fee. Our press release distribution packages are white label by default. Hence, there’s no need to register with our site or pay any extra premium for white label services. Most businesses, especially resellers and agencies do not like the idea of distributor’s name being mentioned on their news release and syndicated posts. With that in mind, we have made our press release distribution packages White Label. In other words, our name will not be mentioned anywhere in the press release, syndicated posts and distribution report. And we are not charging any additional premium for it! However, those looking for Private Label Press Release Distribution Service can find further info here. All the media brands, logos and outfits are property of their respective owners. All company names, brands and logos used in this website are for reference purpose only, thus independent of NewswireNEXT.com. Use of these brands, logos, and names does not imply endorsement.